Feeling more in control of your life. Gaining respect for yourself and from others. Knowing appropriate ways to say "No". Discovering ways to give and receive compliments and criticism. 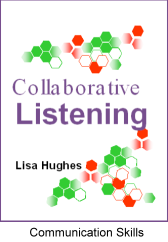 Collaborative Listening is designed to develop your ability to focus your work with others to achieve common goals, to get feedback, to cooperate through conflict, to identify common interests, to define problems, to seek and to implement solutions for mutual benefit and enhanced productivity. Networking is a life skill that will enhance your personal and professional growth whether you are looking to advance in place or find a new employer. 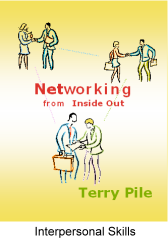 Networking from the Inside Out offers a solid approach to networking at your current place of employment for the purpose of meeting new people, developing a skill, changing positions or gaining a promotion. 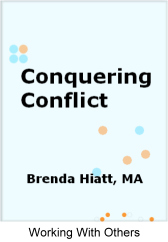 This book will help the learner understand the effects of conflict, common causes of conflict, methods of identifying underlying causes, and techniques for successfully resolving conflict. You will gain insight about your own reactions to conflict and the impact these actions and reactions have on others. By Camille P. Schuster, Ph.D. Collaboration is necessary for managing the paradox of increasing efficiency while providing additional consumer value. Good preparation is essential for success. 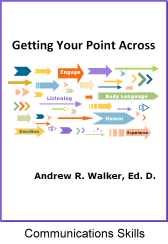 The purpose of this book is to help you prepare for collaborative discussions. To begin you need to know your own company's mission, vision, and most valuable consumers. 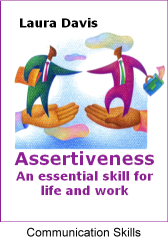 Identifying the mission, vision, and valuable consumers of your potential partner is also important preparation. Next, you need to identify the strengths and weaknesses of your business processes and the processes of your potential partner. Armed with this information you are ready to plan for collaboration. 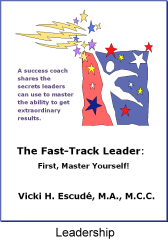 Unlike competitive situations, hoarding information is not the path to power. Like competitive situations, protecting proprietary information is necessary. However, in collaborative discussions it is necessary to share appropriate information to create effective joint strategies. Sharing information about company mission and product or process objectives is a good place to begin. Both companies know and understand their valuable consumers and have a set of objectives based upon their analysis of strengths and weaknesses. Who are the consumers of the manufacturer who are frequenting the retailer? Sharing information to identify these joint consumers is essential for success. Each company has objectives for the coming year. Which ones can be addressed together? Now you are ready to create a joint strategy that benefits suppliers, retailers, consumers, and shareholders. As companies begin to share this level of information and successfully complete joint projects, they realize the value of collaboration. One successful project leads to another and the process of collaborative decision-making evolves. By working through the exercises in this book, you will be ready to engage in collaborative discussions leading to synergistic solutions that create efficiency and consumer value. 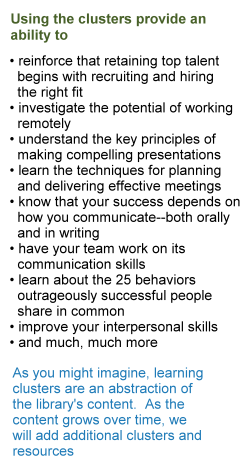 Those who are most admired for getting their point across successfully use a structured approach that fits multiple scenarios. They adapt their style to balance telling with listening. They create empathy and engagement that enhance support for the proposal. The hook - the headlines that capture attention. The story - the problem and the situational context. The implications - resources and support requirements, risks, and plans for action. Finally, successful delivery of the message acknowledges the needs of the audience, allows them to voice ideas and opinions, and encourages their active contribution to success.